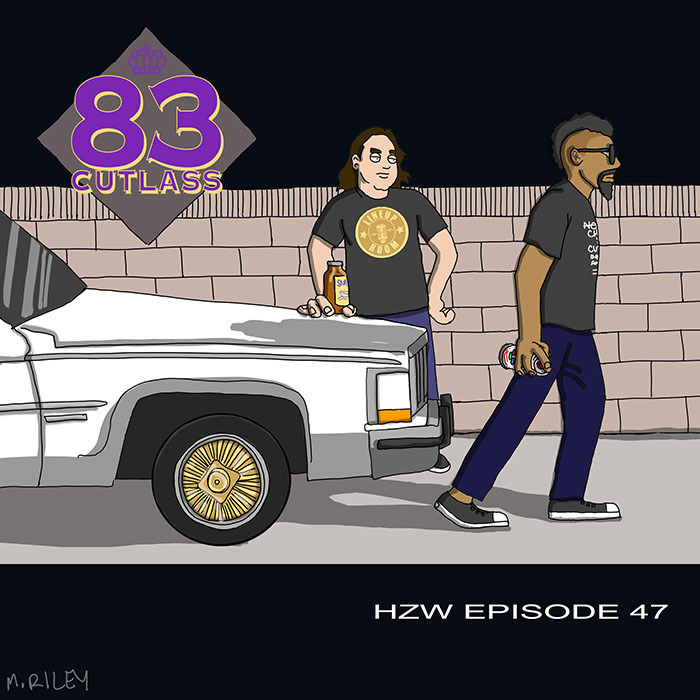 My guest this week is Chad Dawson, aka 83 Cutlass. He made his debut with a self-titled EP in 2012. We met recently when him and I played the parts of Inspectah Deck and Cappadonna, (respectively) at a Wu-Tang tribute show. He talks about being equally inspired by the older R&B he heard at his grandmother’s card parties, and the hip-hop his younger uncles were digging. He talks about his days as a graffiti writer, and how graffiti inspired his approach to music. We talk about his debut EP, and the full-length album he’s working on now. Mike Riley’s art this week is an homage to King Tee’s Payback’s A Mutha. This episode is hosted by splicetoday.com. Posted on June 22, 2015 July 6, 2015 by height keech	Bookmark the permalink.